Marcel Türkowsky (b. 1978) is a german artist, performer, musician, writer and curator. After many years of travelling and several years of studying philosophy / musicology at the Humboldt University Berlin, he received a MA from the Academy of the Arts (UDK), Berlin, Germany in 2008. He currently lives and works in Berlin and Paris. 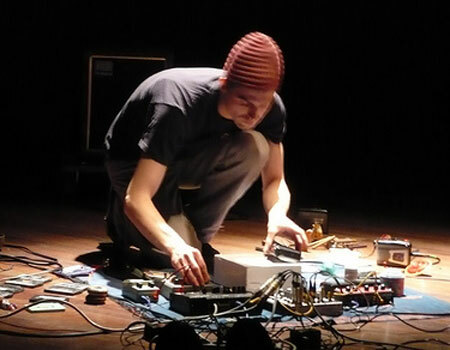 Former member and collaborater with performance groups Snake Figures Arkestra, Wooden Veil, Datashock, Kinn, Cones, etc...still performing with Mirror Trance.